Machines or lines, which bakers can produce special quality with, are marked with the BakingQuality label. A historic example is the WP Matador oven. “Corresponding to the claim “think process”, the WP BAKERYGROUP looks at every single step of the baking goods production, as well as the operation of production lines, as an integrated process. The SmartControl label describes the standardized and easy handling of WP machines. Bakeries belong to the most energy intensive businesses in the artisan field. 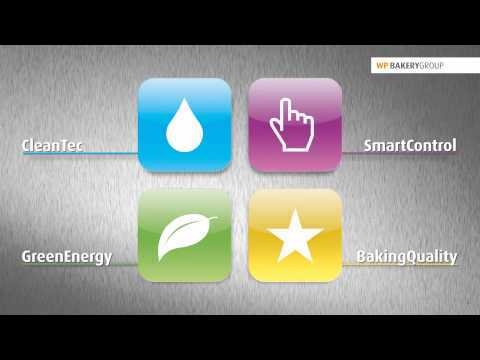 The WP BAKERYGROUP developed systems which save and use energy more efficient. The CleanTec label describes another step of the WP CleanTec philosophy: the automation of dough production with connected cleaning, increased use of water and innovative component packages which are specially designed for increasing hygiene standards. Do you want regular information about WP products and innovations?